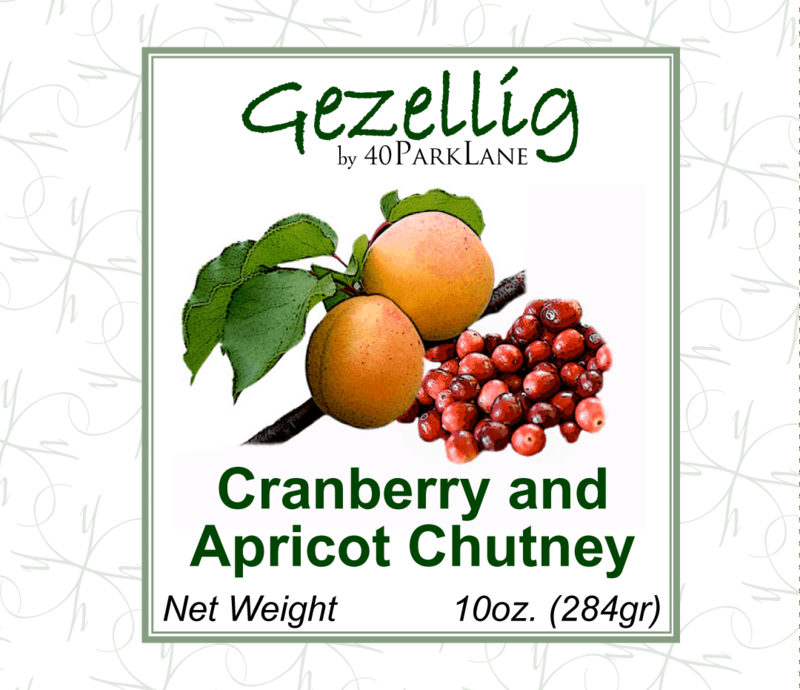 Graphic design portfolio – When 40ParkLane decided to introduce a line of gourmet vinegar, mustard and chutney under the brand name Gezellig it was decided by the creative team to design a fresh sleek looking, yet “feel good” style label. Although we were aiming for a clean “New York look” design, we still wanted to incorporate the meaning of “Gezellig”. Gezelliig is a great Dutch word which means having fun with someone else, whether family, friends or strangers, often while enjoying a good glass of something and a bite of delicious food. We managed to create a look that both incorporated a fresh modern design with a “Gezellig” feel to it. Although the chutney recipe was an old recipe of the owners’ college cooking course, we were aiming at a younger and innovative crowd. A target group that likes traveling, entertaining and is educated. A group of people that would be willing to try a relatively new concept of adding chutney to a meal, on a toast or with cheese. The key feature of the label is the combination of the white background, softened with background artwork, clean lines and a picture of the ingredients looking like graphic design. 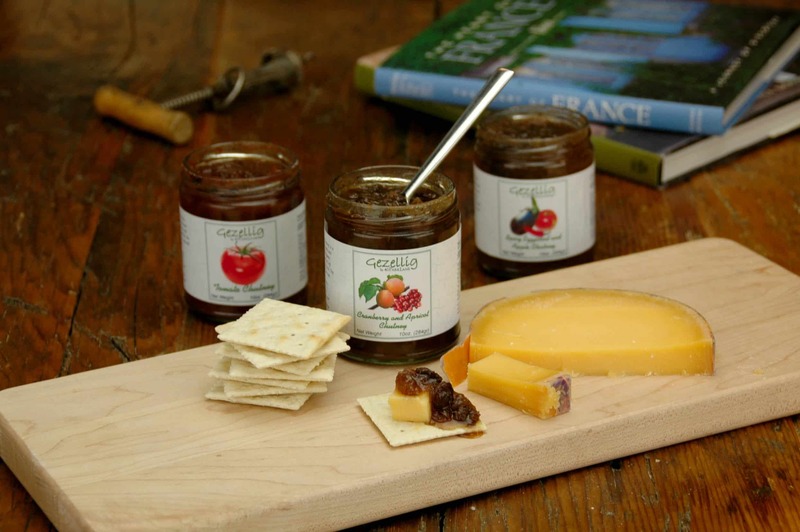 Although chutney originates from India, we wanted to give our product a more international look. 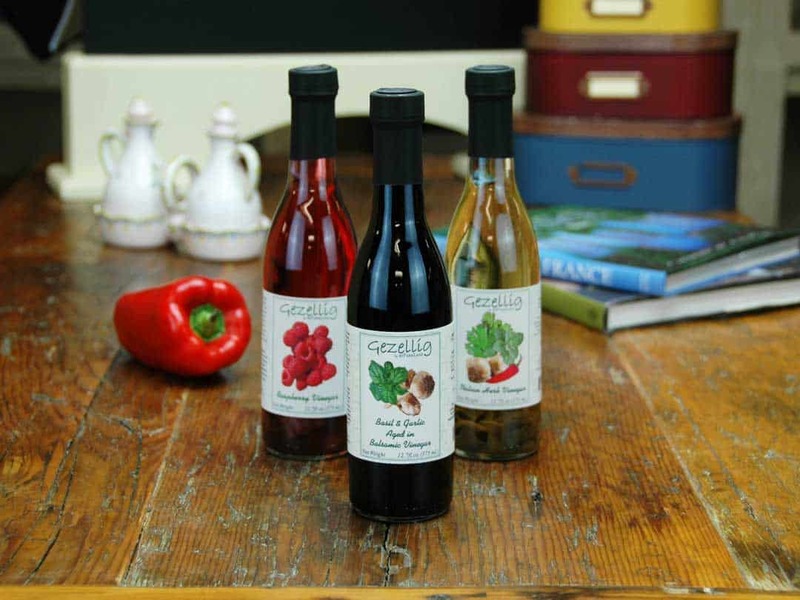 When we launched the “Gezellig” brand we wanted to introduce products that our customers would use at times when it was “Gezellig”. “Gezellig” is a great Dutch word that describes a situation where people together are having fund, often while enjoying a drink and some food. Our Vinegar, BBQ Sauce and Chutney fit that bill. The design of the labels had to be fresh, sleek and “Gezellig”, not old-fashioned, not too modern. That’s when we came up with a set of designs that was spot on our target group.